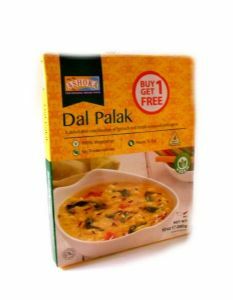 Dal Palak is a delectable combination of spinach and lentils tempered with spices. Mildly spiced, spinach and lentils are slow cooked and tempered with spices. 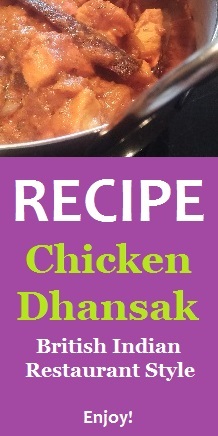 Healthy and wholesome accompaniment that can be served with rice or bread. Ingredients: water, bengal gram, spinach, onions, tomatoes, split green gram, garlic, sunflower oil, ginger, green chilli, salt, turmeric powder, cumin, spices [star anise, black cardamom, black pepper, caraway, cassia, chilli, clove, cloves, coriander, cumin, ginger powder, fennel seeds], coriander powder, red chilli powder, black pepper powder, asafoetida [wheat], cinnamon powder.